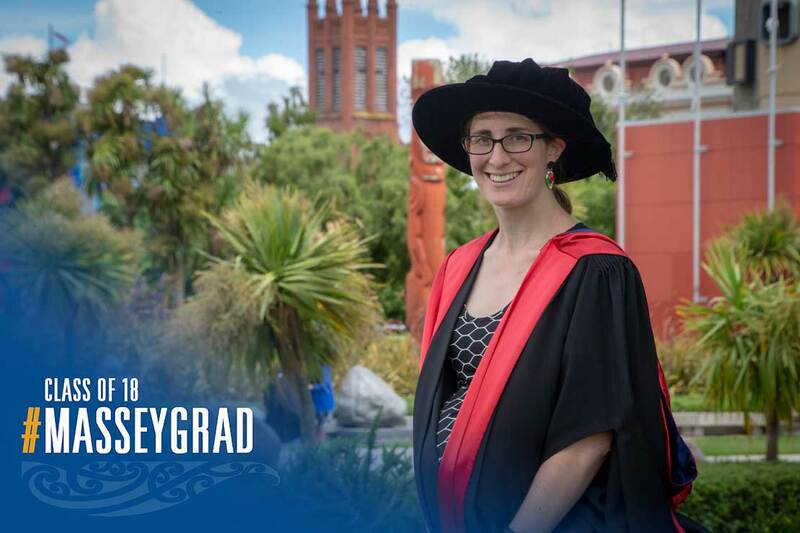 When Hayley Hunt left Massey after completing her Bachelor of Veterinary Science, she thought she was done with study, but last week she graduated with a doctoral degree for her research into a debilitating muscle disease in dogs. After working as a small animal veterinarian clinic in Whangarei for two years following the completion of her degree in the Bachelor of Veterinary Science, Dr Hunt received a scholarship to return to Massey to complete a residency and a Master of Veterinary Science in Veterinary Pathology. Dr Hunt investigated “go slow” myopathy, a muscle disease that interferes with energy production in muscle cells. It is seen mainly in dogs used for pig hunting and working farm dogs, but pet dogs can also be affected. Dogs affected by the disease usually have a sudden onset of trembling and collapse, followed by long periods of lethargy, with some never returning to full fitness. Dr Hunt has received funding to do metabolomic/toxicological studies on pig meat eaten by dogs that developed go slow myopathy in order to try and definitively identify the underlying cause of the disease.